Since joining the Medical University of South Carolina in 2016, Wilson has had daily oversight of student programs and student diversity, including recruitment via pipeline programming, orientation, student life, off-campus housing, student communications, emergency preparedness, and volunteer programs and service learning. He also works in conjunction with the Cultural Arts Project Council to provide cultural programming for campus, serves as faculty advisor to the University Honor Council and Student Government Association, is a member of the Behavioral Support Intervention Team and leads campus/community projects involving the local chamber of commerce and school districts. Before his time at the Medical University of South Carolina, Wilson was executive director of multicultural student retention and TRIO Programs at Missouri State University. 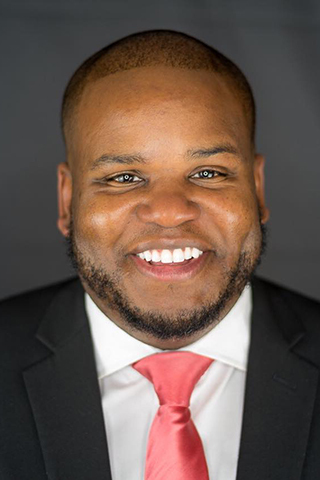 In addition, he served as interim executive director of the Multicultural Resources Center and LGBTQ Center and coordinator of the Brother to Brother Male Mentoring Initiative. Wilson was one of three candidates who participated in public forums on the UI campus in March. The search was led by Liz Tovar, associate athletics director for Student-Athlete Academic Services, and Claire F. Fox, professor and chair in the Department of English. Wilson received BA degrees in political science and communication from Ouachita Baptist University in Arkadelphia, Arkansas, in 2007, and a master of public administration and government management degree from Keller Graduate School of Management in Oklahoma City in 2009. He received an EdD in higher education administration and instructional leadership from Lindenwood University in St. Charles, Missouri, in 2015. Tovar says Wilson is joining the university at a critical and transformative time for the campus. Wilson succeeds Melissa Shivers, who has been serving as interim associate vice president for diversity, equity, and inclusion since May 2018. Shivers began serving after former Interim Chief Diversity Officer Lena Hill left the UI in May 2018 to become Dean of the College at Washington and Lee University in Lexington City, Virginia. Hill was appointed on an interim basis in July 2017 after former Chief Diversity Officer Georgina Dodge accepted a position at Bucknell University in Lewisburg, Pennsylvania. Wilson will receive an annual salary of $224,000. His appointment must be approved by the Board of Regents, State of Iowa.